Indiaplaza Blog For smart shoppers |: Cash on Delivery - Pay at your door ! Cash on Delivery - Pay at your door ! We have got some great news. 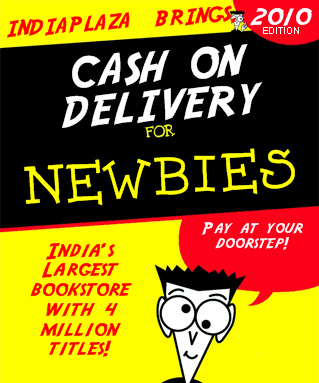 Indiaplaza introduces cash on delivery on books. We were listening to you people out there who wanted Cash on delivery and thought , "Why not !" . Now, you have the freedom to shop online and pay conveniently by cash on delivery. Currently cash on delivery is available for buying books and will be extended to other products shortly. You can now buy over 4 million imported books and books published in India online and pay conveniently by cash on delivery. So , What do you say ?